Resistance thermometers of this series are used as universal thermometers for the measurement of liquid and gaseous media. They can be used for pressures up to 40 bar (special designs to 400 bar dependent on insertion length and diameter). All electrical components are protected against splashed water and are designed to withstand vibration. 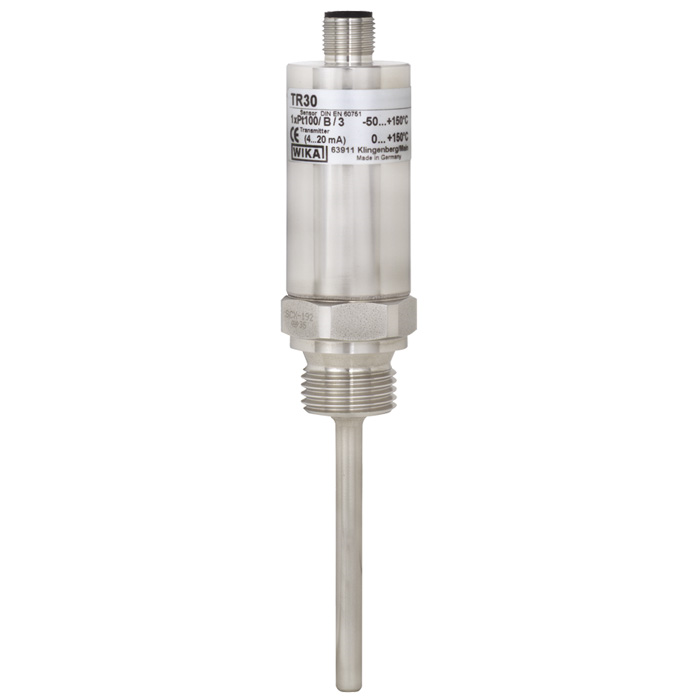 The TR30 resistance thermometer consists of a sensor tube, which can be fixed into the process using a permanently-welded threaded connection or a compression fitting. A version with no process connection is also available. The electrical connection is made via a DIN angular connector or an M12 x 1 circular connector. The model TR30-P resistance thermometer is available with a direct Pt100 signal. An intrinsically safe variant can be supplied as an option. 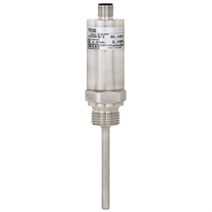 In the model TR30-W resistance thermometer, a software-programmable transmitter with a 4 ... 20 mA output signal is built in. Thus the measured temperature values can be transmitted safely and simply. The model TR30-W resistance thermometer is available, as an option, in an intrinsically safe variant.